Big Data stands for data sets which is usually much larger and complex than the common know data sets which usually handles by RDBMS. Well, know traditional data management applications like RDBMS are not able to manage those data sets. Big Data can be applied to Un-structured, Structured and Semi-structured data sets based on requirements and needs. Whereas Big Data is mostly applied to Un-structured data sets. Many of the well-known simultaneous Computing tools, Business Analytics Software require Big Data for handling their large data sets. Nowadays Big Data Analytics has been used in various Sectors like Media, Education, Healthcare, Manufacturing, various Government and non-government sectors and so on. Big Data comes to play for a large and complex data sets which can be considered from multiples of terabytes to exabytes. This huge and complex data sets cannot be manipulated by common traditional data management applications like RDBMS. Here big data has been used to manage those large data sets. Big Data can be applied to Un-structured, Structured and Semi-structured data sets based on requirements and needs. Whereas Big Data is mainly focused on Un-structured data sets. 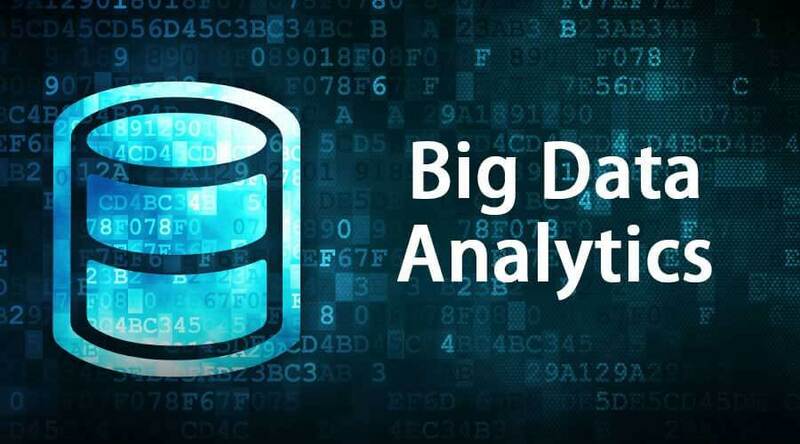 Nowadays Big Data Analytics has been applied on various Sectors like Media, Education, Healthcare, Manufacturing, various Government and non-government sectors and also it has been used in complex analytics, real-time fraud management, traffic management, customer-centric analytics and many more. Key characteristics of Big Data Analytics. Volume stands for the size of Data that actually stored and generated. Depends on the size of data it has been determined the data set is big data or not. Variety stands for nature, structure, and type of data which is being used. Velocity stands for the speed of data that has been stored and generated in a particular development process flow. Veracity signifies the quality of data that has been captured and also helps data analysis to reach the intended target. This analytics is basically a prediction based analytics. Predictive Analytics works on a data set and determines what can be happened. It basically analyses past data sets or records to provide a future prediction. Prescriptive Analytics works on a data set and determines what actions needs to be taken. This is a valuable analysis but not used widely. Many of the health care sectors used this analysis on the top of various activities to manage their business activities. Descriptive Analytics actually analyze the past and determines what actually happens and why. It also helps to visualize this analysis in the dashboard may be in the form of graphical representation or in some other format. Diagnostic Analytics executes on current data sets. It is used to do analysis based on incoming real-time data sets. Many of the systems like business intelligence tools use this analysis to create real-time dashboards and reports. The Big Data Analytics Examples are of many types. Several Organizations use this Big Data Analytics Examples to generate various reports and dashboards based on their huge current and past data sets. There are different types of analysis of Big Data such as Predictive Analysis, Prescriptive Analysis, Descriptive Analysis, and Diagnostic Analysis. Those analyses are used by Big Data analytics to generate various graphical reports and dashboards based on their current and past records which may be in the form of Structured, Semi-structured or Unstructured. Fraud Management Report which is generally used in Banking Sectors to find the fraud transactions, hacking, unauthorized access to the account and so on. Live Tracking Report which is generally used by Transport Sectors such as Meru, Ola, Uber, and Mega to track the vehicles, customer’s requests, payment management, emergency alert and to find the daily needs and revenues and so on. Sales Report and Future target and goal analysis which is mostly used by all sectors to analyze their sales, revenues, and needs of customers and also used to determine the future target and so on. Many reports based on live data mostly used to manage live data in many entertainment sites, share market, real-time Sensex data etc. Generate different types of alarms based on different activities like alarm generated by data Centre, various notifications Big Data Analytics Examples has been used here. Google Analytics report where we can get how many user’s visit counts, from which location the user is from, from which device the site is accessing and so on. Many Health care Organization nowadays rapidly introduced Big Data predictive analytics to improve our daily life. It has been used to update many protocols of Healthcare Sectors and also used to improve the outcomes against entire populations. Big Data Analytics Examples also played a vital role in many disaster situations. In the year April 2015 earthquake killed and also injured many peoples in Nepal. In this situation, North Carolina-based SAS has been developed by Analytics which has been played a massive role in rescue and relief operation. Big Data Analytics has been used in Online and Physical Security to identify the unauthorized activities, take various steps to prevent those attacks, introduced real-time monitoring to reduce fraud activities and also activating alarms against suspicious actions. Finally, we can say using Big Data Analytics Examples we can add a big value to various sectors and business, where we can easily find out the result of any complex query simply from a massive data set, also can predict the future analysis which will help to take more accurate business decisions.